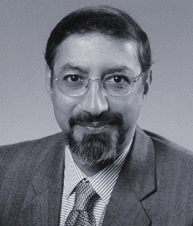 Sanjoy Mazumdar is professor in the Department of Urban Planning and Public Policy, Department of Asian American Studies, and Program in Religious Studies, at the University of California, Irvine. His research examines the interrelationships between cultures and their physical environments, including ethnic and geographical cultures and subcultures and their vernacular environments; diversity and multiculturalism; social aspects of designed and built environments; culturally programmed environmental behaviors; religion and environments; organizational ecology, organizational cultures and their built environments; accessibility, inclusive design, technology and design; implications of design related interventions in social systems; and qualitative research methodology. He has a B.Arch. (Hons.) from the Indian Institute of Technology, Kharagpur, India, a Master of Architecture in Advanced Studies (M.Arch.A.S. ), a Master of City Planning (M.C.P.) and a Ph.D. in Organizational Studies and Environmental Design from M.I.T., Cambridge, MA, USA. His professional practice in architectural design, urban design, and planning of over 15 years has included design, construction, and management experience and 5 design awards. A past Chair and member of the Board of Directors of the Environmental Design Research Association (EDRA), he is co-Chair of the Cultural Aspects of Design Network (CADN), and founding member of Culture and Space in the Built Environment network. He is on the Editorial Board of Journal of Architectural and Planning Research, Journal of Environmental Psychology, Design Research Quarterly, and has served as scientific advisor on several international environmental design conferences. He has been awarded Environmental Design Research Association’s Career Award (2006) for lifetime contributions; been conferred title of Fellow of Design Research Society (2007); the Academic Leadership Award by the Orange County American Planning Association (2007); an “Outstanding Planning Achievement Academic Award” by the American Planning Association California Region (2007); the “Excellence in Interdisciplinary Research Award” (1994); the “Outstanding Faculty of the year” award (2003), “Invitation Fellowship” Japan Society for the Promotion of Science (2015, 2013), is listed in several Who’s Who. He has received invitations to lecture from universities and professional associations in Japan (10), Turkey (3), South Korea (2), Estonia, Canada, Mexico (3), Denmark (3), India, and Russia, from the Mark Taper Forum, the Philoctetes Society, and from consulting firms. His research has been published in 23 journals including Journal of Architectural and Planning Research, Journal of Environmental Psychology, Environment and Behavior, Journal of Architectural Education, Landscape and Urban Planning, Journal of Urban Design, Journal of Asian Urbanism, Journal of Ritual Studies, Journal of Aging Studies, MERA Journal, Environments, Advances in Consumer Research, in many books, encyclopedias, and handbooks, and been reprinted or translated into Japanese and Turkish.